Another Stencyl developer using Facebook told me this 1 year ago, but he solved it at the end. Didn't told me how. Maybe he had to prove that the app is working, as you did. Anyway, this is a thing that happens to Stencyl games and i wrote also to Stencyl stuff if they can wide-support Android APK Stencyl on simulators on MacOS. OjyaLeaderboard for Stencyl using MACOS and different simulators Android AVD, Bluestacks gives the BLACK-SCREEN but the game is fully functional. OjyaLeaderboard for Unity3D works great on all Android simulators on MACOS. You can solve how? RUNNING Bluestacks,Andyroid or Android AVD using Windows-Parallels or any virtualisation in MACOS. So this is a Stencyl issue known. So you have to use real devices or use the above method. Stencyl - OjyaLeaderboard works on windows android simulators with no problem. ANSWER: A big number of facebook reviewers, and this is a confirmed information, are using MACs with Android Simulators. Stencyl APK games unfortunately have this issue(black screen), instead other game engines, like Unity3D, are not having this problem with their APK games. For Facebook app review the game developer must specify to test the game on windows OS using android simulators or at real devices, but not on MacOS. This is a minor update. Introduced the 'OjyaLB ShowLogs' block. From now on, the OjyaLeaderboard Extension, for Haxe code, Java and Objective C will have the Ojyaleaderboard Logs off by default. If you want to enable the logs just use the above block set to TRUE before 'OjyaLB FB AppID' block. Information about the unique work in OjyaLeaderboard for Facebook SDK4 - Version 8 upcoming. OjyaLeaderboard extension for Android uses the boolletproof Facebook SDK3.x. This SDK integrates best with game engines like Stencyl and others that you don't use code, as it doesn't creates activities for Facebook dialogs etc. A new activity on Android will stop the main game activity, so sound and animation will stop when a Facebook dialog opens. Using the Facebook SDK3 all the dialogs are integrated in the game as one thing. No pausing occurs. Instead this will not happen with SDK4, as it creates more activities. Thats why Facebook still keeps operating the SDK3. The best choice for a game designer is Facebook Android SDK3. But OjyaLeaderboard extension has a second version with Android Facebook SDK4. This doesn't add any new feature in respect of SDK3. 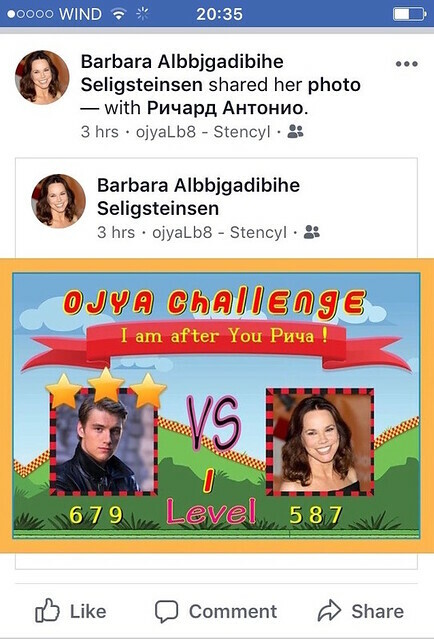 OjyaLeaderboard with some modification on the Activities of SDK4 and Stencyl Android GameActivity, is now the ONLY Facebook add-on for a game engine that DOESN'T stop the activities. So every Facebook dialog opened in the Stencyl game will not pause the main activity of Stencyl... so animations and sounds will continue. 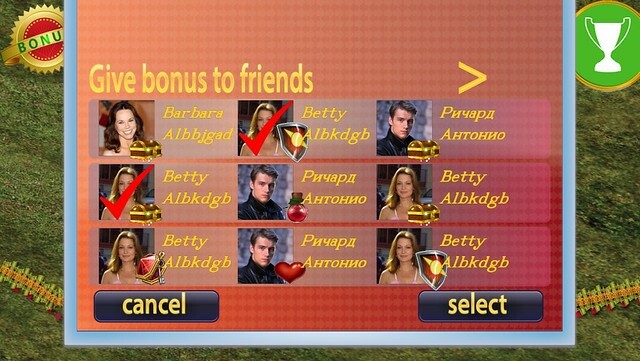 Extensive tests are made in the extension using dialogs opened, pausing the game and resuming with android stop button, backbutton, resuming on the icon application and also on expose. 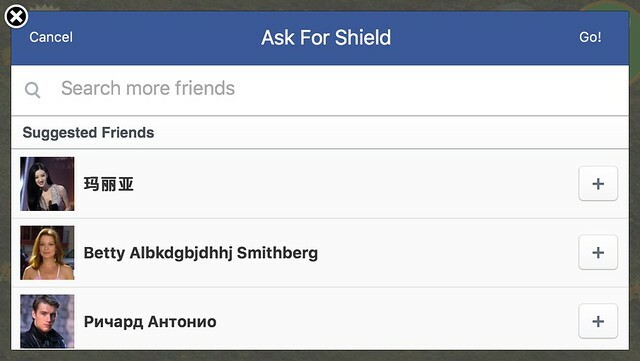 So i am happy to say that OjyaLeaderboard with Android Facebook SDK4 is maybe the ONLY Facebook solution with that feature, difficult to find in other game-engines in the market. Of course we will continue using the SDK3 as it is the most reliable for gaming, but with the option to use the SDK4 if the developer wants to. The current version of OjyaLeaderboard is compatible also with Facebook API 2.10 , released these days. No need for further update. This is a great update leaving the OjyaLeaderboard game unchanged but focusing in the extension. The extension is updated to OjyaLeaderboard5 but we provide also the old OjyaLeaderboard4. - Stencyl with OjyaLeaderboard V8 using Facebook Android SDK4 is maybe one of the few game engines that not stops the main activity when Facebook activities SDK4 are executing, like share dialogs etc. 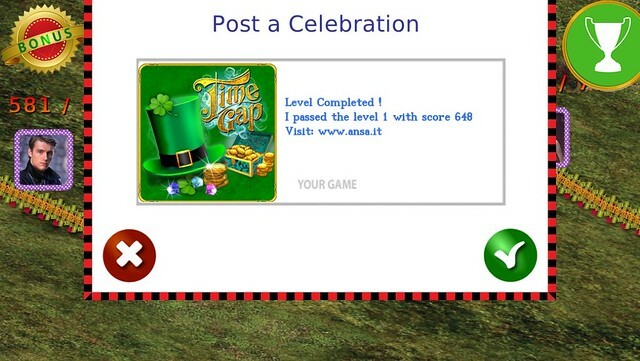 A great feature for gaming and seamless integration of Facebook with your game. 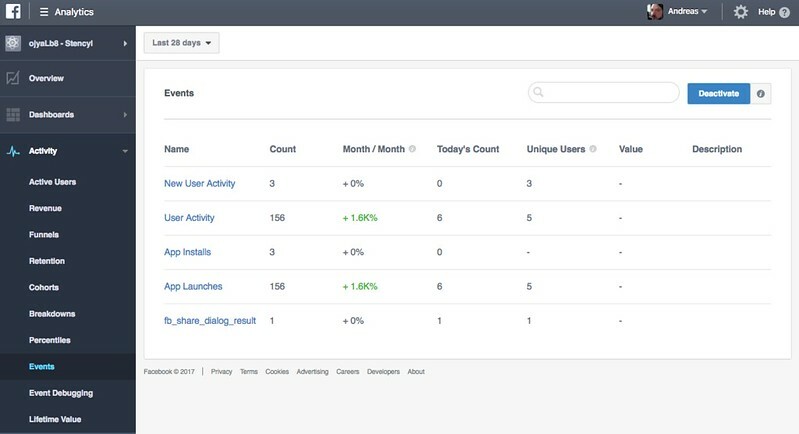 - Plus with this update, with Facebook game analytics for your game you can have an idea about installations, game launches new users and other events per day or month about your game in almost realtime. There is also no need the user to execute a login for this feature. Just use the 'OjyaLB FB' block once. Just select the extension OjyaLeaderboard 4 or 5. The blocks inside the game are identical. With this update we change the preview panels in the game for posting a challenge or a game.celebrate to Facebook timeline. More compatible with the Facebook policy. With this update we change the preview panel , buttons and the challenge post to timeline for being compliant with the latest Facebook policy. Update and changes were made for OjyaLeaderboard Unity3D and today obtained the Facebook app review. New PDF available for downloading in our site, section 'Fixes-Updates'. Updates in section G - Facebook App Review. 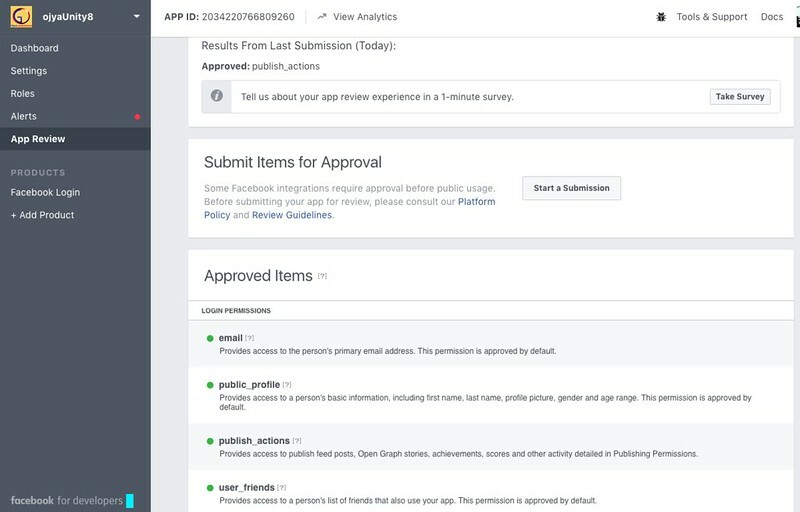 Now, after the latest change of facebook policy and with the last updates in the OjyaLeaderboard game ,preview panels and buttons, and also in the PDF, it is easy to obtain your facebook app review. OjyaLeaderboard is a ready-to-use leaderboard package-extension for your game. Extensive crash tests have been made so the leaderboard will work in every situation , even without internet connection or slow speed networks. Has a very clever mechanism so will not block your game if the facebook response is not coming from the server. And you can change those values easily as explained in the PDF. With the tutorial learn how to change easily the graphic leaderboard map and re-design the look of the leaderboard, for every game of yours. Create great illustrations of your game that posts a user challenge or a game celebration to facebook timeline, and so promote your game with the most used social networking service. Define game objects like life, power, bonus , you name it ... , that you share with other players inside your game, so increase the playability of your game. And of course the unique Ojya Leaderboard score mechanism ! 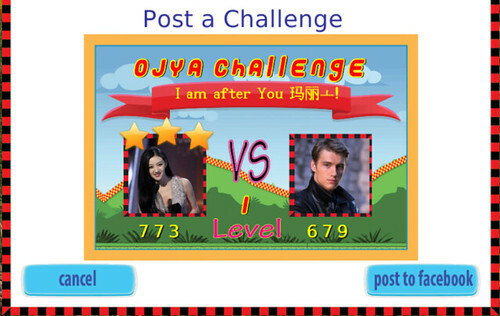 Ojya Leaderboard is your swiss army knife for new gaming experience and game promotion. Ojya Leaderboard is getting a new update focusing on ... great gaming experience ! Now you can create multiple items and share them with your players, like energy, weapons, time, life etc. 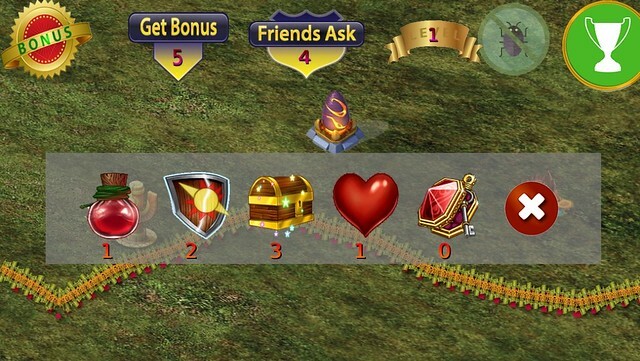 You can use the bonus action as before but now selecting the item to share. Use your items by setting only your image and name. Easy re-configurable. More details inside the PDF and in our youtube channel. With this way give more value and playability to your game. And your players will love it ! All this using facebook server only ! Can't wait, I think I will be able to start using this extension in just a couple of months, keep up the good work! 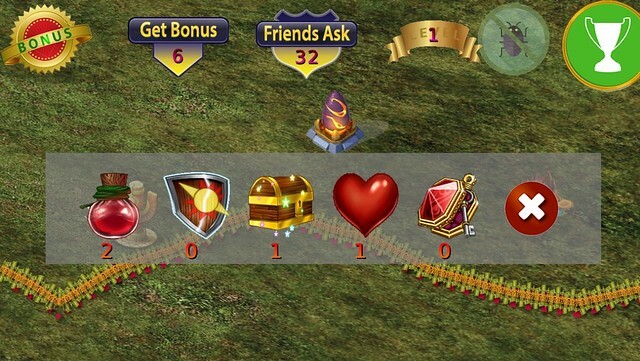 - After the great feature using multi bonus items for your game , sharing between friends and using them to unlock features , gain power or whatever the developer wish to do, the version 9c has also the feature to save those items the player got, also in the Facebook server together with the score. With this way, playing with different mobile devices, the player will have the exact number of items in the inventory, in all the devices. - There is also a custom block for removing from the bonus inventory an item from the device and the Facebook server, once it is used in game. - Developer can choose with a boolean to use or not the new feature on version 9c, or just save and use the bonus items only in the individual mobile device. - Ojyaleaderboard can be used only with certain functions if wanted. 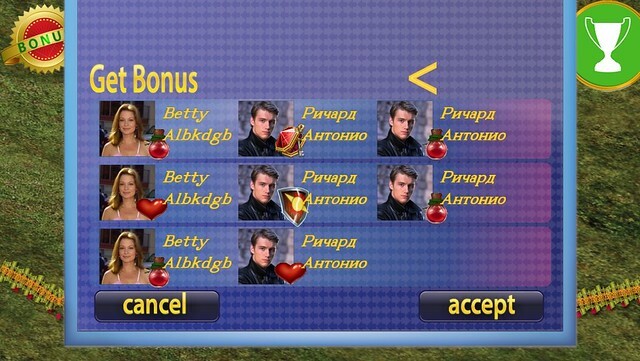 For example the user can choose to use only the bonus-items function and post to Facebook wall challenges without the score function. This by setting a boolean. The functions bonus and scores are independent. - New Section H in the PDF, for the default setup ,plug and play, of OjyaLeaderboard and understanding the main setup booleans and their functions. See the PDF in Section D-d for more details in version 9d. Note: Version 9b became 9d with some important additions. OjyaLeaderboard is made for pure gaming experience. Although promotion and publicity is very important , the real game experience is the most important for your game. A well designed game with a leaderboard with plenty of functions will intrigue the gamer to play more the game and challenge other gamers. This is how the facebook extension is being thought inside the Ojya leaderboard. 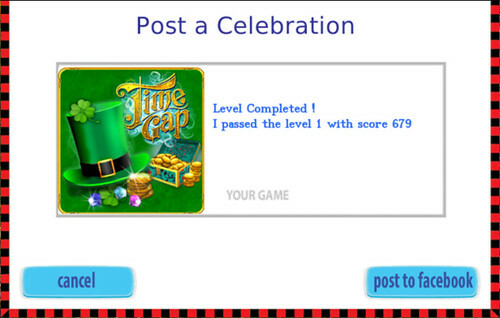 We developed the extension not as a code only , facebook implementetion, but what the gamer wants from his game. 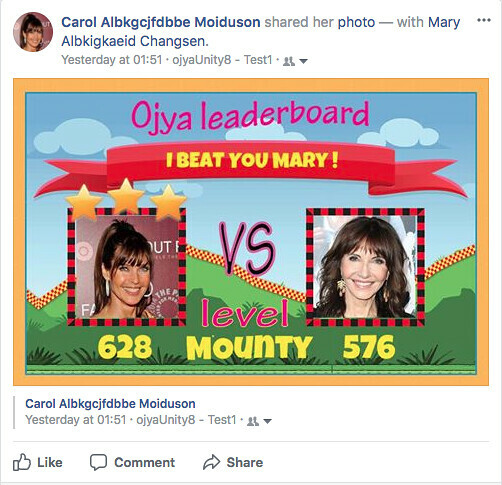 OjyaLeaderboard is so well made, introducing ojya's innovation in facebook score and code and also making use of the most important facebook calls for gaming. Our game-leaderboard is a finished leaderboard, plug and play. Setup with only 3 facebook variables. Taking time to study the code in Haxe and also the Stencyl's blocks inside our game-leaderboard and how they are used, will help the developer to learn facebook development for gaming as no other facebook plug-in that exists in other gaming platforms. In many ways better than google play leaderboards with the limit of 70s multileaderboards- levels and with the bonus-items sharing function that lucks of other leaderboards or it is limited. Ojyaleaderboard is your swiss knife for creating leaderboards for your games. OjyaLeaderboard has been updated for Unity3D to Version 3 , after the most radical changes in facebook API 3.0. Actually, now you can use two options, facebook-server host for the scores,as before, or an SQL-database for the score mechanism. Also the posting to facebook timeline has being improved with more detailed information for text with title, description, link, image etc. So in few words, OjyaLeaderboard V3 became better than before. Now is the turn for OjyaLeaderboard for Stencyl version 10 !! So keep watching for the next big release.